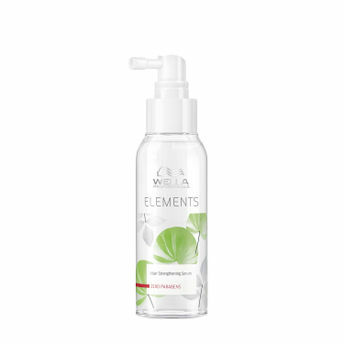 A new paraben free, volume-boosting hair styling serum that strengthens each existing hair fiber, giving it more bounce, and helps to maintain a balanced scalp condition.The Wella Professionals Elements Hair Strengthening Serum creates gorgeous volume and keeps the hair soft, nourished from root to tip. The hair strenghtening hair serum has refreshing gel-like texture and contains natural Ash Tree extract - a powerful antioxidant, which helps reduce free radical damage and calms the scalp. Explore the entire range of Hair Serum available on Nykaa. Shop more Wella Professionals products here.You can browse through the complete world of Wella Professionals Hair Serum .